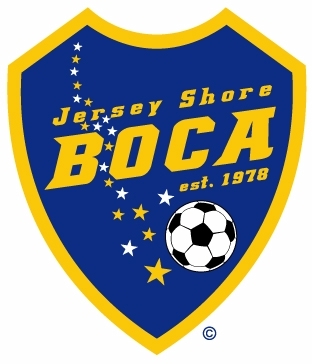 The Board of Directors of the Jersey Shore Boca Soccer Club has announced today that the Club will be holding open tryouts for their 2006-2007 season teams beginning on May 15 at the new John Patrick Sports Complex in Lakewood. Boca will be conducting tryouts for both boys and girls in the Under-11 through Under-15 age groups. TOMS RIVER, NJ (May 7, 2006) – The Board of Directors of the Jersey Shore Boca Soccer Club has announced today that the Club will be holding open tryouts for their 2006-2007 season teams beginning on May 15 at the new John Patrick Sports Complex in Lakewood. Boca will be conducting evaluations for both boys and girls in the Under-11 through Under-15 age groups. Tryouts will begin on Monday, May 15th for Boca’s Under-11 boy’s team and will continue over the next several weeks through the middle of June for the rest of the age groups. The tryout locations will be split between the Manchester Soccer Complex in Manchester Township and the new John Patrick Sports Complex in Lakewood. All players attending the tryouts should arrive 30 minutes before the scheduled start time, bring a soccer ball, wear a white shirt and wear protective shin guards. UPDATED – Our U11 Boys team will continue to hold Open tryouts/player evaluations during the team’s regular training sessions through the end of June. For more details see the U11Boys announcement on our home page. The Club is celebrating their 28th anniversary in 2006. Any player interested in attending a tryout for any Boca team should visit the Club’s official web site at www.jerseyshoreboca.com for additional tryout information and directions.